ORNAMENT HANGERS & DISPLAY STANDS with SINGLE HOOK have graceful lines that will showcase your ornaments, collectibles and products. 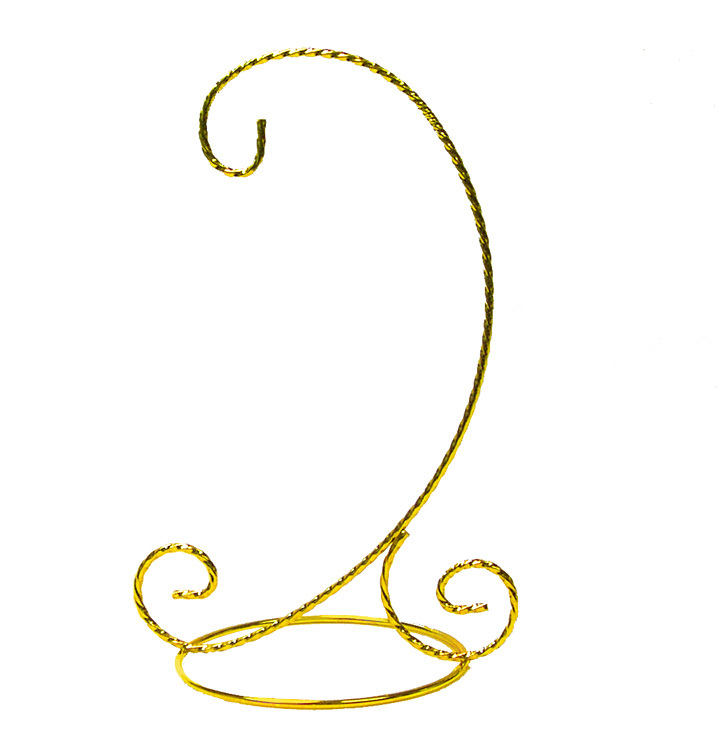 Ornament Stands Have A Bright Gold Color, Bright Silver Color or Glossy Black Finish. Display Stands are Elegant Yet Sturdy Metal and Have Graceful Lines To Complement Your Ornaments, Collectibles and more. ORNAMENT DSPLAY STAND with Single Hanger. 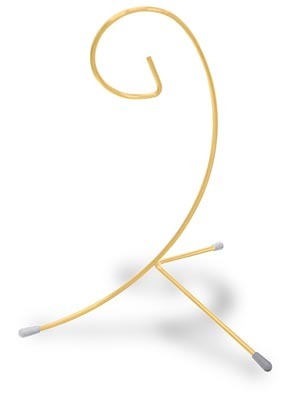 Smooth wire construction with bright gold color finish that resists tarnishing. Stand is 5"H & holds items up to 3-1/2"L x 3" diameter. Base is 2-1/2" diameter. ORNAMENT DISPLAY STAND with Single Hanger. Smooth wire construction with bright gold color finish that resists tarnishing. 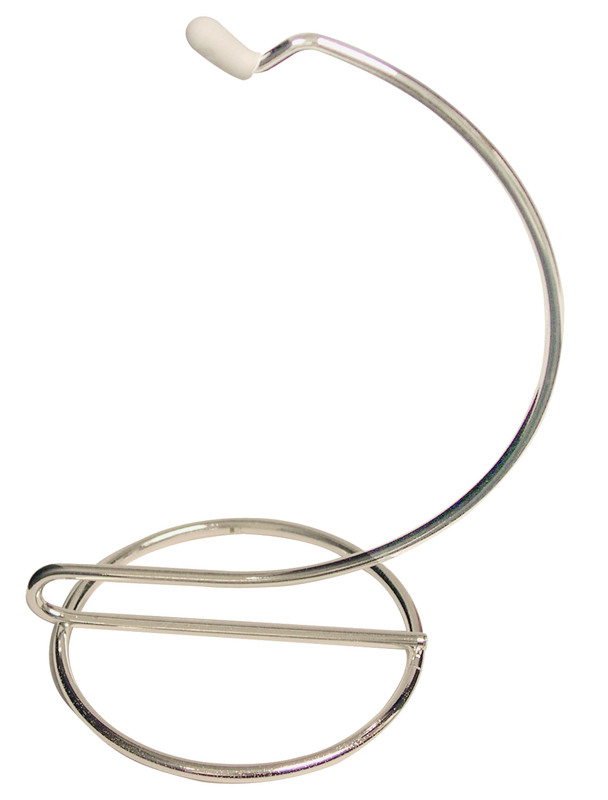 Stand is 7"H & holds items up to 5-1/2"L x 3-1/2" diameter. Base is 3-7/5" diameter. ORNAMENT DSPLAY STAND with Single Hanger. Smooth wire construction with bright silver color finish that resists tarnishing. Stand is 5"H & holds items up to 3-1/2"L x 3" diameter. Base is 2-1/2" diameter. ORNAMENT DSPLAY STAND with Single Hanger. 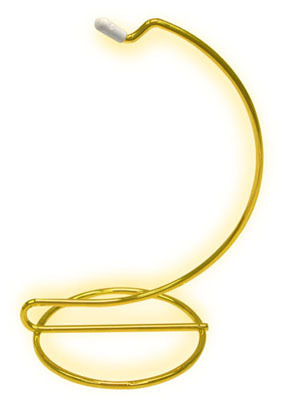 Smooth wire construction with bright gold color finish that resists tarnishing. Stand is 6-1/2"H & holds items up to 5"L x 6" diameter. Base is 3-3/4" diameter. ORNAMENT DSPLAY STAND with Single Hanger. Smooth wire construction with bright gold color finish that resists tarnishing. Stand is 11-1/2"H & holds items up to 8-1/2"L x 6-1/2" diameter. Base is 5-3/4" diameter. ORNAMENT DSPLAY STAND with Single Hanger. 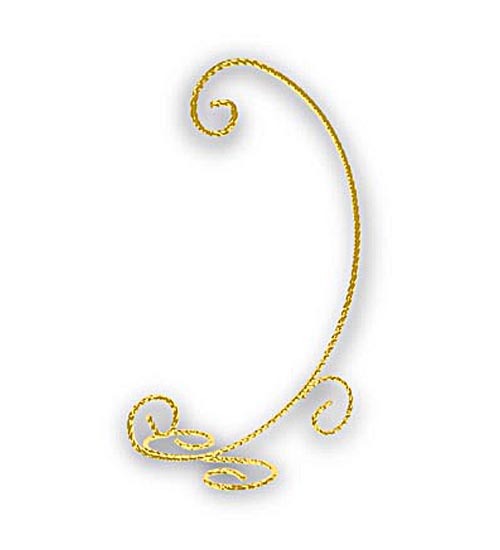 Spiral Rope Style Wire with bright gold color finish that resists tarnishing. Stand is 8"H & holds items up to 4"L x 6" diameter. Base is 4" diameter. ORNAMENT DSPLAY STAND with Single Hanger. 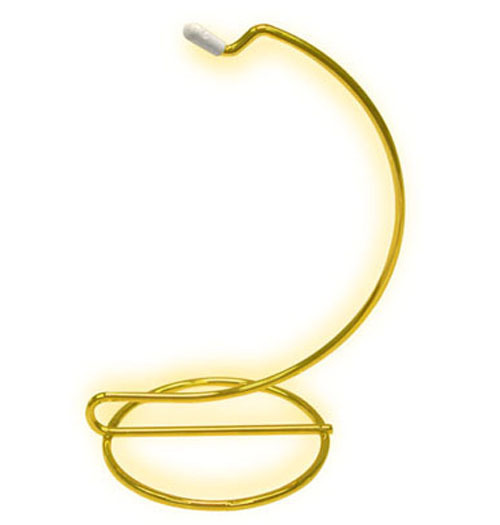 Smooth wire construction with bright gold color finish that resists tarnishing. Stand is 8-1/4"H & holds items up to 4"L x 3" diameter. Base is 4" diameter. ORNAMENT DSPLAY STAND with Single Hanger. 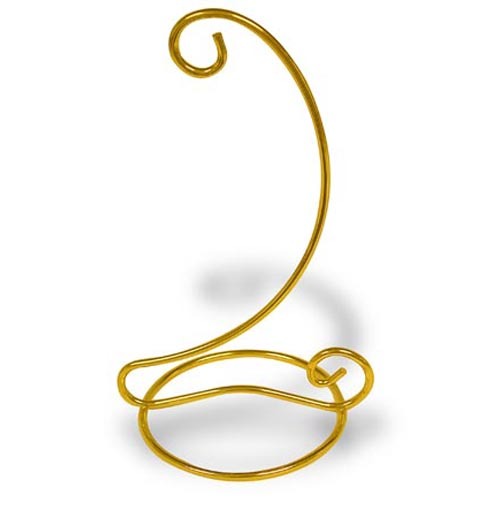 Spiral Rope Style Wire with bright gold color finish that resists tarnishing. Stand is 9"H & holds items up to 5"L x 8" diameter. Base is 6-1/2"L x 5"W.
ORNAMENT DSPLAY STAND with Single Hanger. 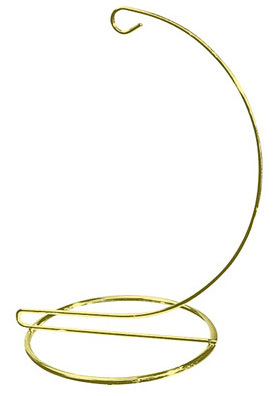 Spiral Rope Style Wire with bright gold color finish that resists tarnishing. Stand is 12-1/4"H & holds items up to 8"L x 8" diameter. 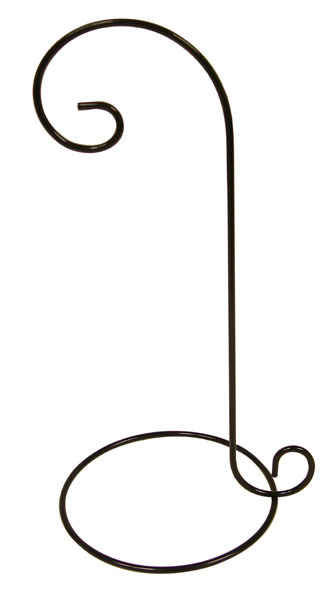 Base is 7-1/2"L x 5"W.
ORNAMENT DSPLAY STAND with Single Hanger. Smooth Wire construction with glossy black finish. Stand is 11-1/2"H & holds items up to 8"L x 5" diameter. Base is 5-3/8" diameter. 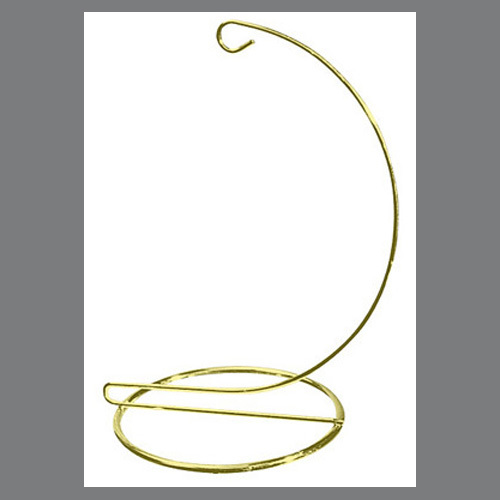 Tripod Base Ornament Display Stand is bright brass plated wire with finish that resists tarnishing. 7"H overall x 4-1/2" x 5" dia. base. Feet have non-skid plastic tips. Holds ornaments up to approx. 3-3/4"L x 3-3/4" dia.